Great photography doesn’t have to be complicated. 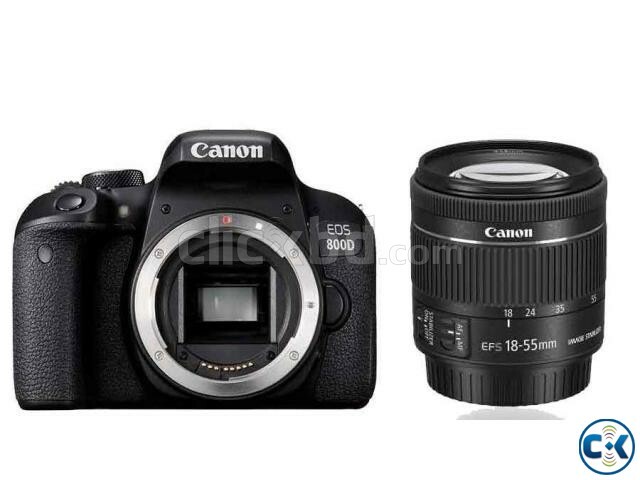 The Canon EOS 800D is full of friendly technology that will give your photography a boost with features such as advanced autofocus and wireless control from your phone. And this space-saving EF-S 18-55 mm f/4-5.6 IS STM zoom lens is so compact you’ll never want to leave your camera behind again. It’s ideal for everything from portraits to landscape, and makes a great travelling companion. Capture more detail with an APS-C sized next-generation 24.2-megapixel sensor.